Subhan Allah, it is as though this video is directed RIGHT AT ME! Ya Allah! Timely advice by Brother Nouman Ali Khan indeed! It’s true, family will be the first to notice your changes and they can be your toughest critic as well! 3 years ago, when I decided to turn my life around, I was all alone in overcoming obstacles. I can understand how hard it was going through transitions on your own and even harder when your family doesn’t understand you. Al-hamdulillah, it works when you have thick skin (hehe). I learnt the art of ‘selective hearing’ whereby I choose to listen only to positive comments. And it’s wonderful that Allah has given me the ability to smile despite being insulted. However, still… I have much to learn when dealing with the Big Bro who has tongue of a serpent- his hiss is worst than his bite! Allahu Mustaan.. I believe I have changed for the better al-hamdulillah although I’m still working on my ‘leftover jahilliyah’ traits. My family, in fact, changed for the better too even though I mentioned it was difficult at the beginning. At first, I found it quite impossible to give da’wah to my family especially since I spend many months abroad each year but al-hamdulillah, Allah guided my dad next! He became my source of support and would constantly encourage my mother to attend Islamic classes. Why is your hijaab so big? It makes you look short! Your mother doesn’t even wear abaya and yet you wear it? You look so old! This list coming from family and relatives, is not exhaustive.. I especially dislike that just because I attend religious classes now, I’m expected to be purrrrfectttt. No way, I’M ONLY HUMAN! Since when did religious classes ensure you MAKE NO MORE MISTAKES in life? One reason why I had been pretty upset lately is due to one of my family members disapproving my muslimah friends. What have my sisters done to them or EVEN me to begin with that the particular family member have this intense hate for them? I have abandoned most of my close old friends (majority Christian friends) because they were trying to pull me to Christianity which at one point, I was greatly influenced by their beliefs. 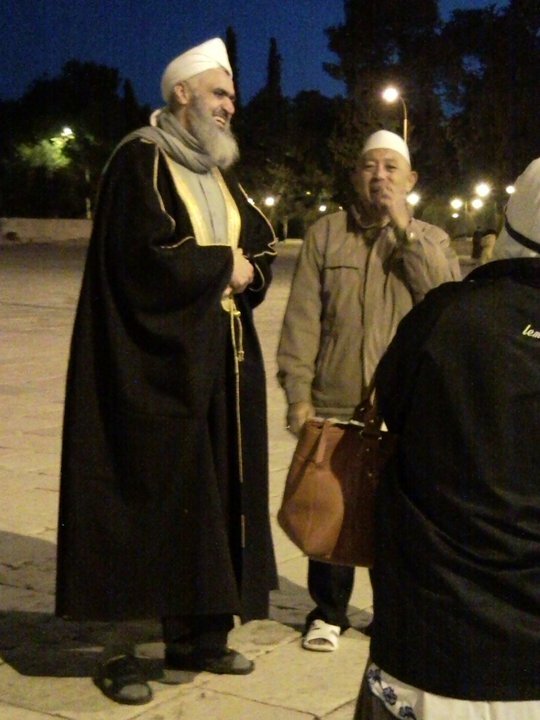 Are these old friends better for me than my current Muslimah sisters.. Subhan Allah! Anyhow, if whatever that is being described about my life is parallel to yours, then the lecture is for you! I can attest to what Brother Nouman said in the lecture about going the extra mile for them. 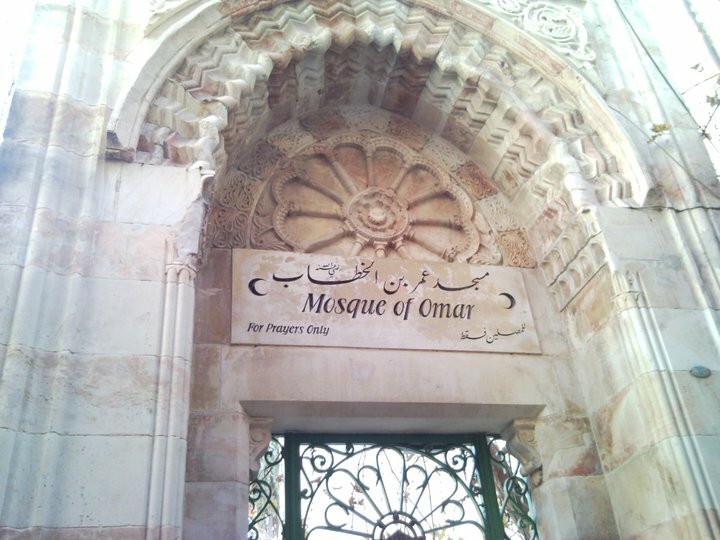 You’ll be surprised that your own family members would try to become better Muslims themselves..
As promised, Part 2 of Travelogue: Palestine. 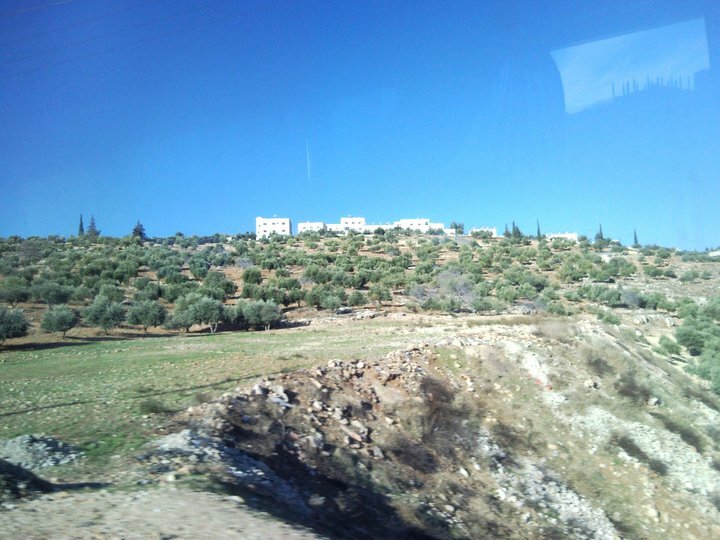 We spent almost a week al-hamdulillah and travelled to various parts to Palestine. 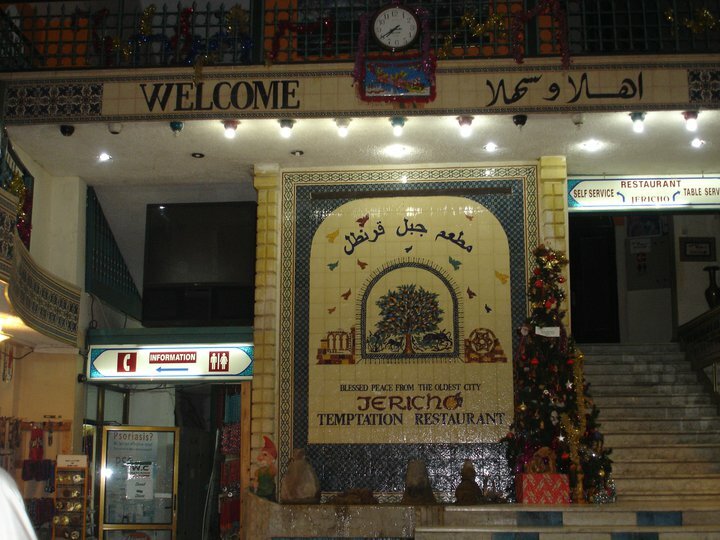 We arrived in Jericho for dinner. I was one of the three to be detained at the Israeli customs for an hour. We were lucky to be detained for just an hour as there were others who had been detained for 6 hours! 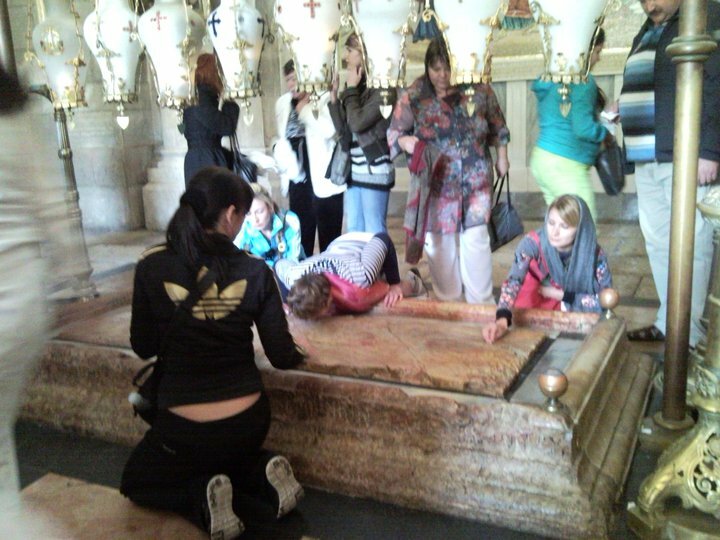 Our tour guide told us that it is their way of ‘mentally torturing’ us so that we would think twice before visiting Palestine again. They took our passports away and took us aside for some silly questioning. 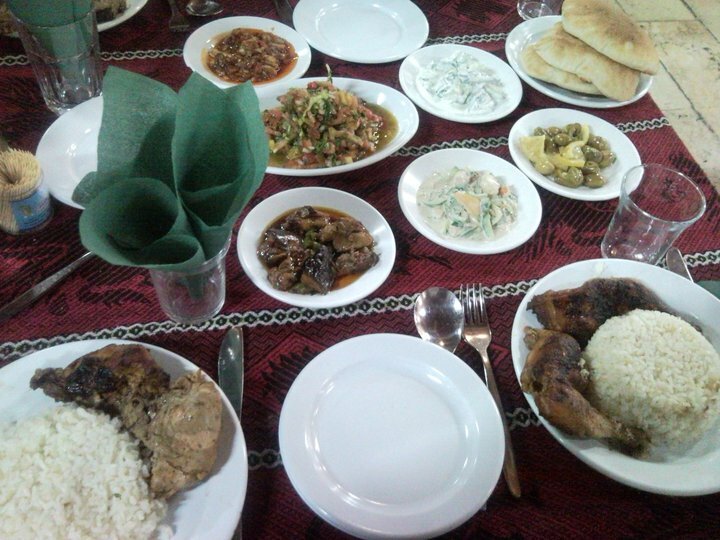 Our dinner in Jericho.. very generous servings of chicken, rice, bread, salad! 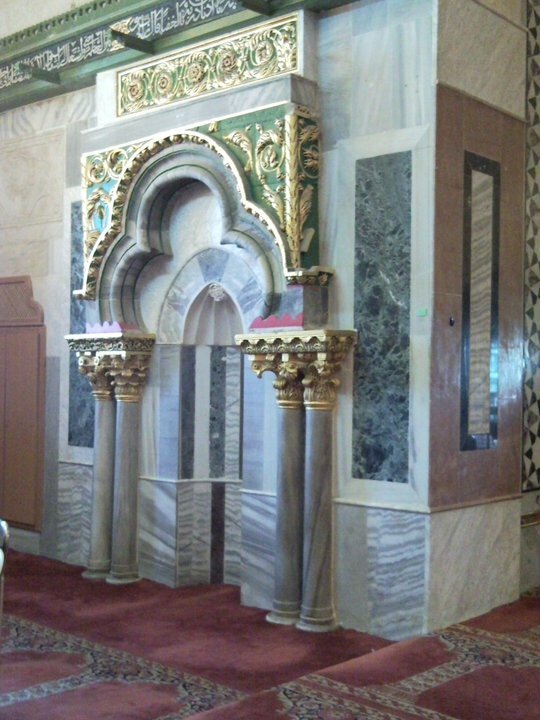 Sayidina Umar Ibn Khattab was invited to the church and when it was time to pray, he did not want to pray inside where he would be facing the cross. What he did was that he took a stone, threw it out of the window and built a masjid at the spot the stone was. 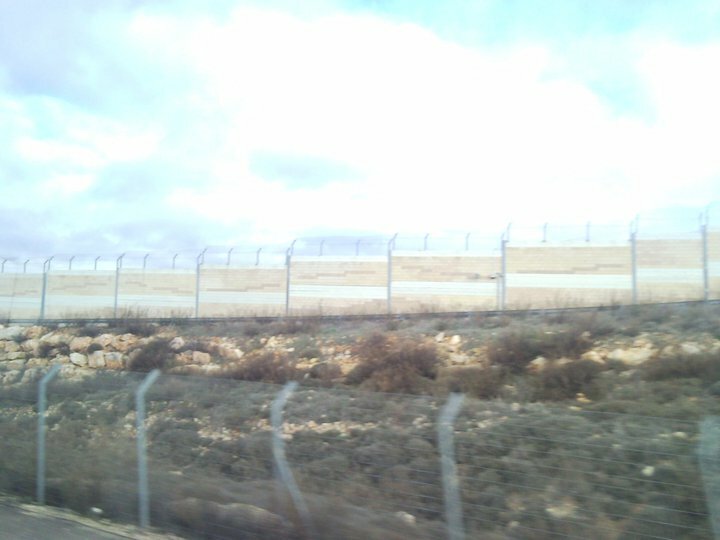 Everywhere we went, there were checkp0ints, high walls and fences which are used to restrict the movement of Arabs. 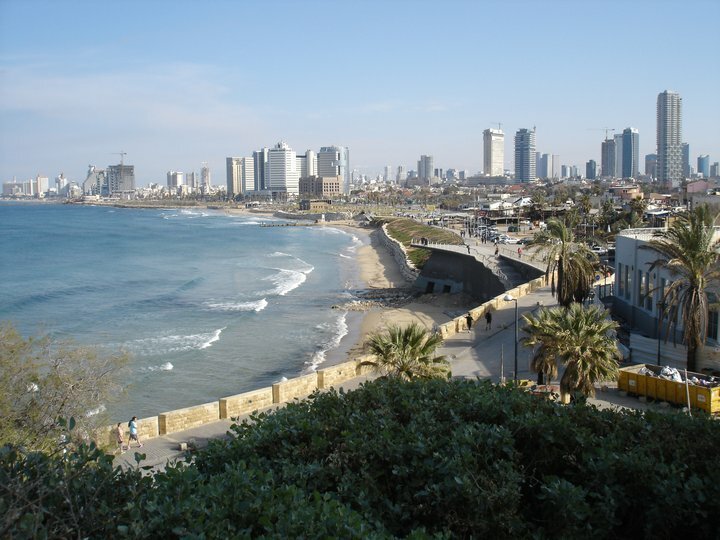 At Tel Aviv. Jaffa is on the right. One of the hotels was built on Muslim cemetery. The cemetery was exhumed and the remains were thrown in the ocean. 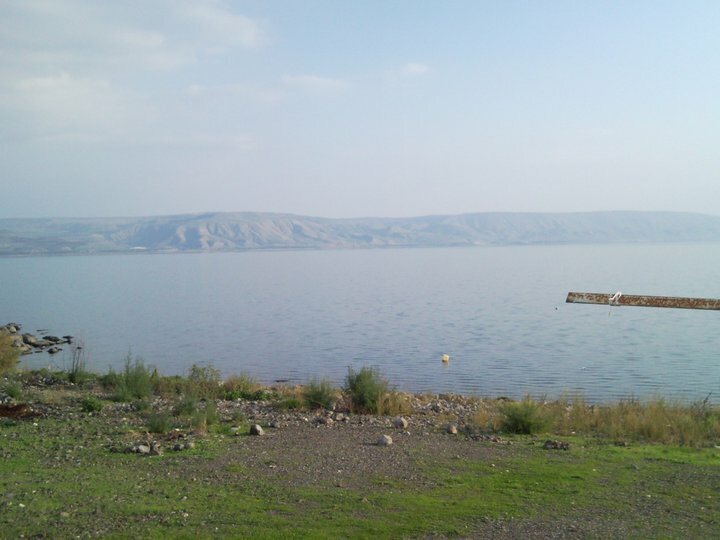 At Sea of Galillee or Lake Tiberias. 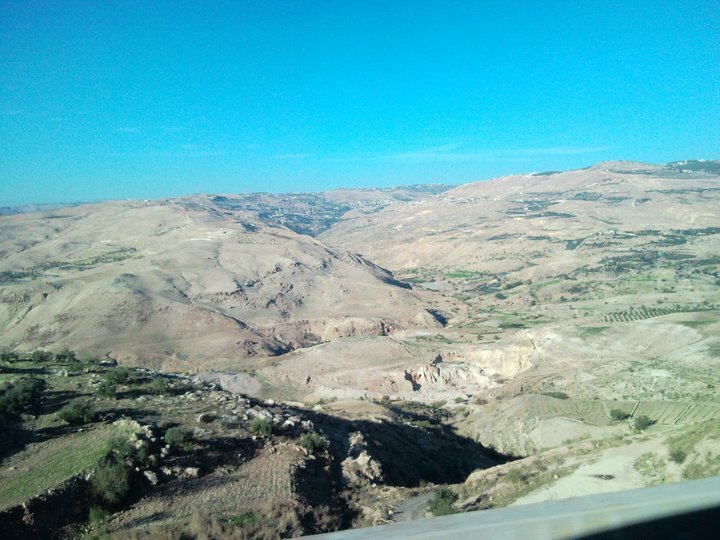 We were at the border of Lebanon and overlooking Jordan. Jesus A.S was believed to have walked on the water and fished for the poor village. He caught two fishes and it was enough to feed everyone! 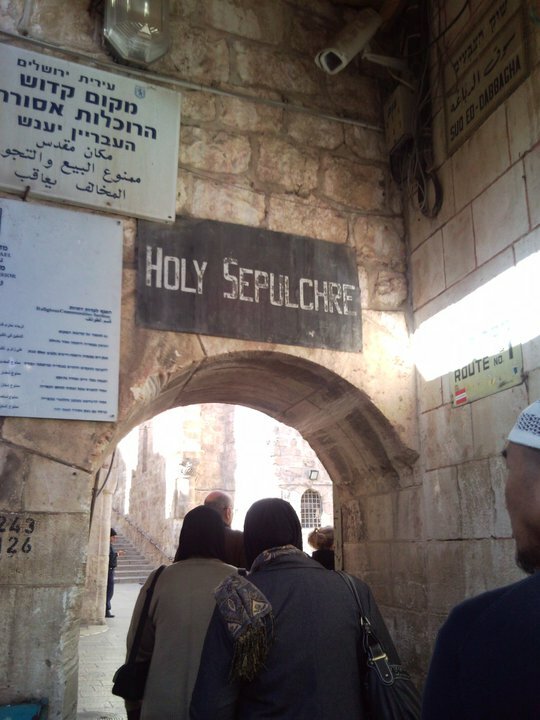 Beside the Basilica of Annunciation where Christians believe that Angel Jibreel came to inform Mary that she was expecting. I’ve been feeling a little down lately especially due to turn of some events. Allah knows best.. But anyhoo, this video cheered me up. Allah will not test His servants more than he can handle. This brother’s advice made me reflect on my situation and how I should not be too stressed about it since Allaah has a way of testing His believers. Subhan Allah! I find it extremely difficult living amongst people who are constantly backbiting, cursing, insulting, slandering others. Allahu Mustaan..I just want to get out ya Rabb! Living in solitude is better than being in a midst of those who encourage you to sin 😦 The only thing that brings a smile to my face is that Allah is probably testing me. In a magazine that I read, the writer said that perhaps, Allah puts you to trials because He misses your invocations; He wants to draw you closer to Him. O Allah, give me the strength to be a ghurabaa amongst those who chooses to sin! Make me amongst those who are patient in your trials. Make me of those who remain strong in my eemaan in face of all these hardships. I came back only 2 days ago but I feel like I left a big chunk of me behind. Is it selfish of me to say that I wish I’m back in Makkah & Madina when I just returned whilst there were 1,500 others in my country whose visas were not approved? …Doesnt make sense? 😦 Hmm.. I miss being surrounded by people who are constantly doing dhikr, reading Qur’an or just doing a good deed. No evil talk. No idling. No backbiting. Only in constant remembrance of Him. 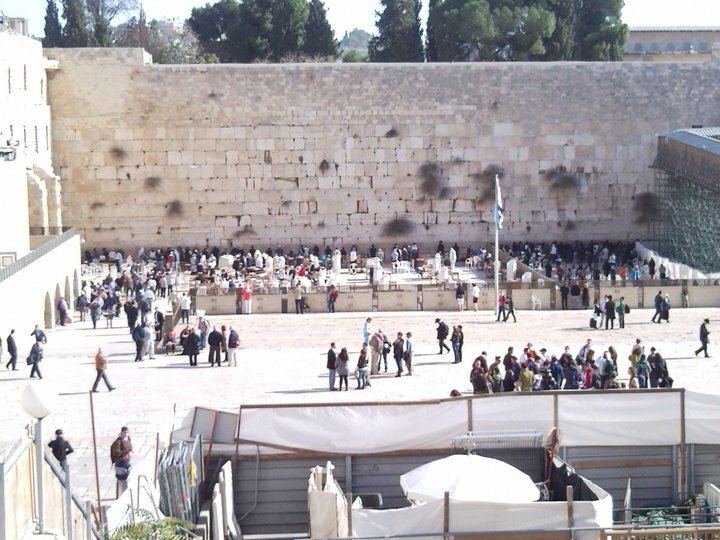 I miss being there. Period. 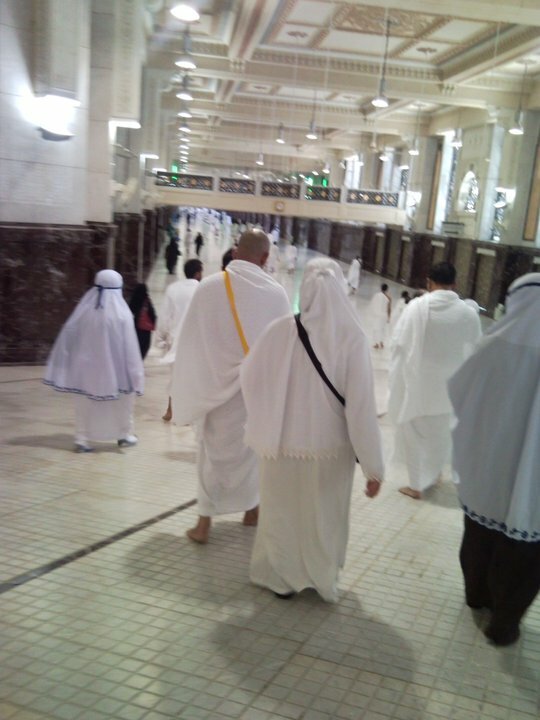 A sister asked me this question today: Do you feel different after Umrah? I can’t tell if I have changed even slightly. Allah knows best but time will tell if my umrah is mabrur. You can tell that umrah is mabrur if a person comes home better than he was before performing umrah and he consistently does good deeds and avoid munkar till he dies. May He accept our umrah and good deeds.. Allahu Mustaan. 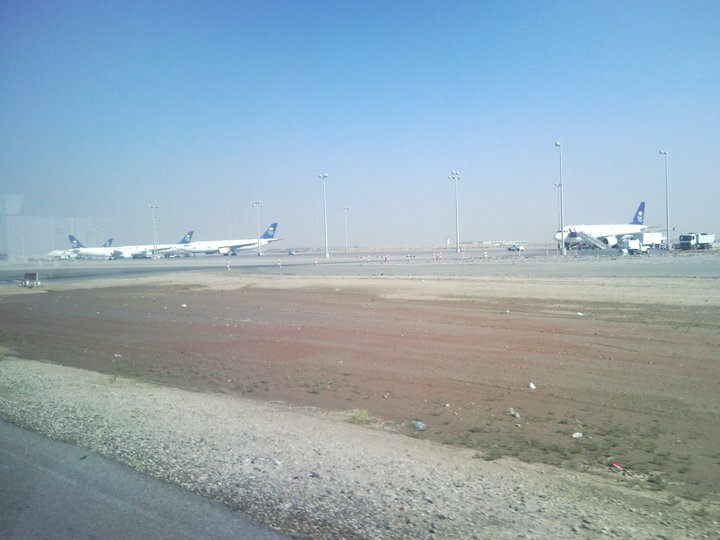 We took an 8hr flight to Riyadh, an hour transit and then 2hrs flight to Jeddah. Upon reaching, the coach was waiting for us and we spent 5hrs to reach Madina. 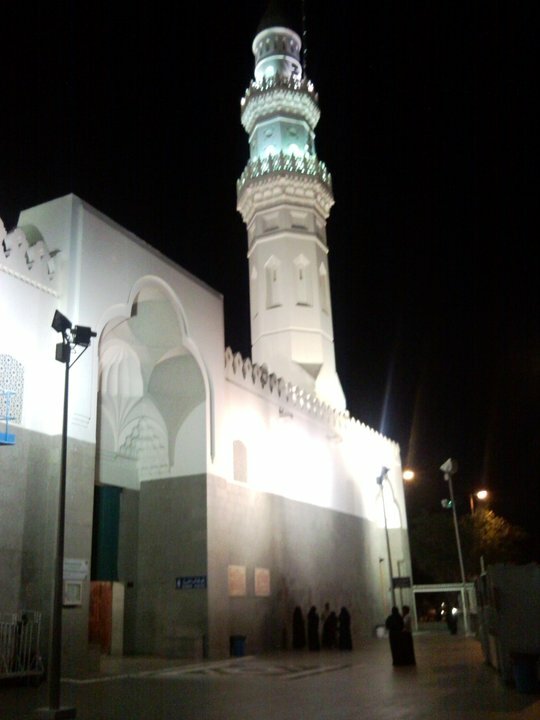 We reached just in time for Fajr at Masjid Quba’ (Pic). I didn’t take any pics of Masjid Nabawi since women are not allowed to enter with handphones/cameras. Also, we were there for just a day so time was a factor. Subhan Allaah, Masjid Nabawi is so gorgeous btw!! 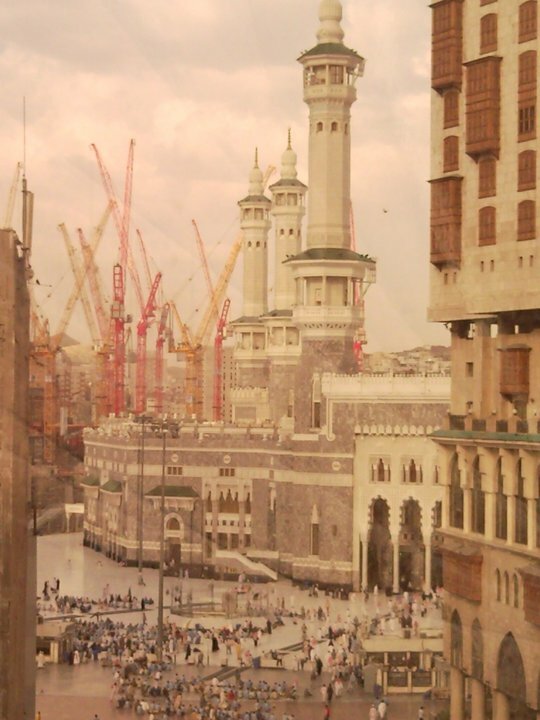 We left for Makkah the next morning and were there for 3 days. There were some problems with our visa. 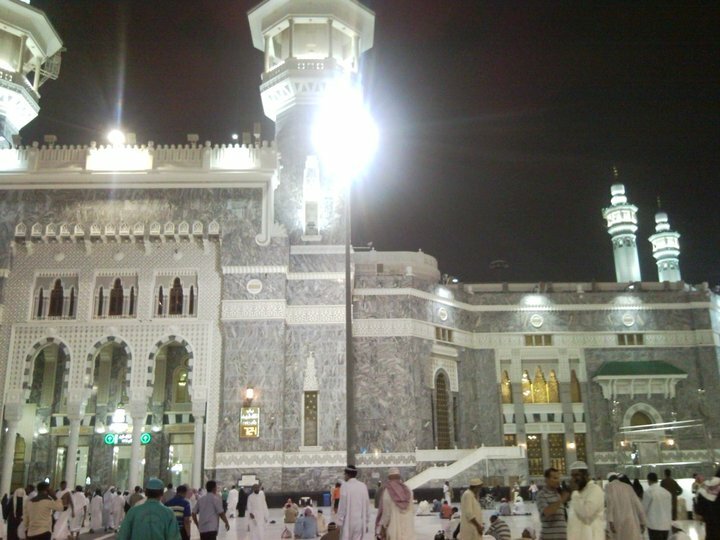 Initially we were granted almost a week in Makkah & Madina but Saudi only gave us 3 days in Makkah & Madina. Our ustadh managed to plead to the Saudi embassy to extend our visa and al-hamdulillah we were granted an extra day in Makkah. Pic: Anyway, that’s the view of Masjidil Haram from our room 🙂 Al-hamdulillah..
Pic: Managed a quick snap after doing tawaf! My dad mentioned something interesting. 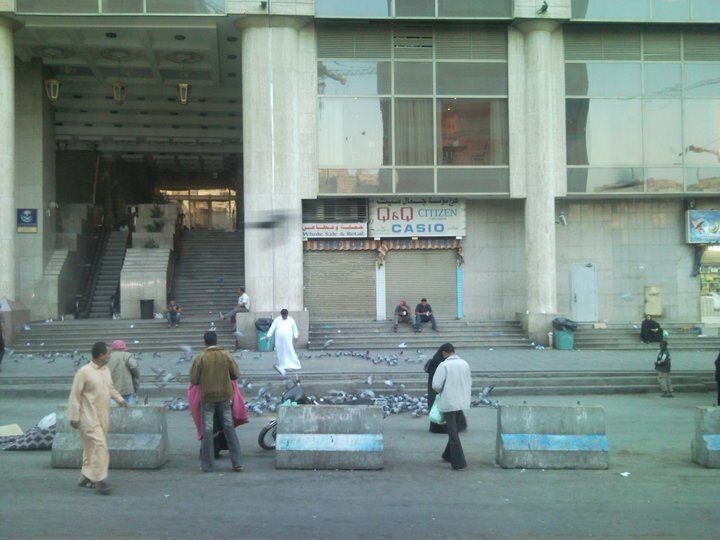 He said that despite hundreds of pigeons at Masjidil Haram, he has never seen birds perched on Ka’abah. Neither did he see bird droppings on it. That’s just his observation..
Pic: Sa’i – safar to marwar. 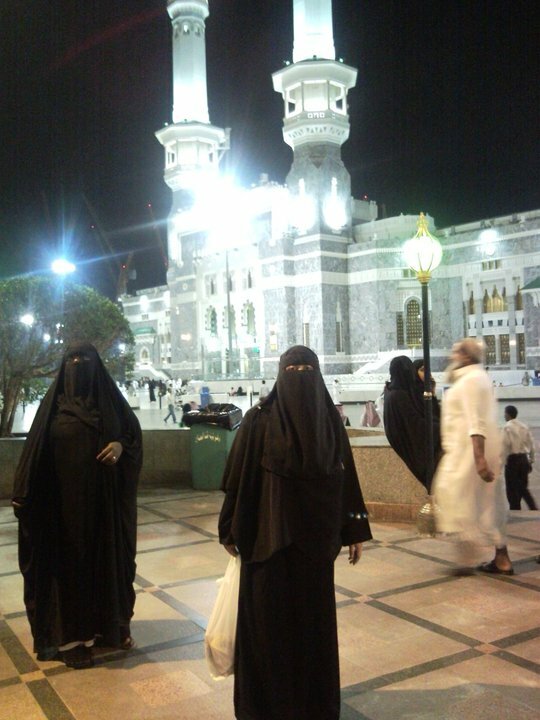 Pic: My mom found it difficult to spot me in Bin Dawood where 70-80% women inside then were in all black w niqaab. LOL. 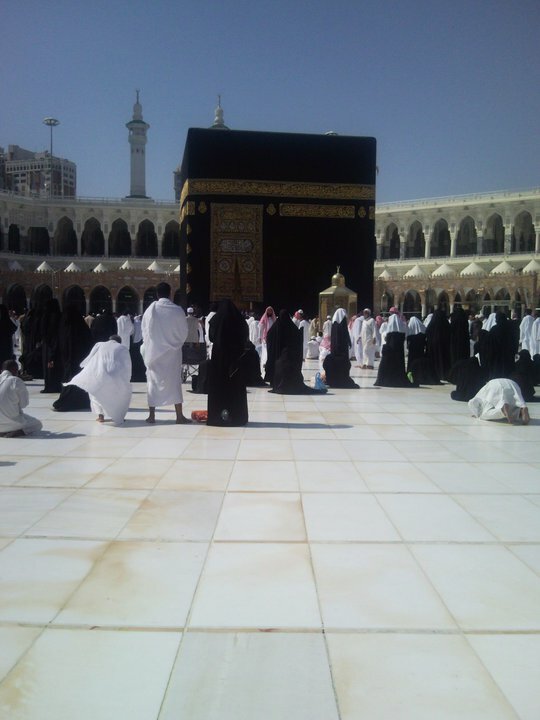 We did our tawaf wida’ on the 4th day at 4am since our flight to Jordan was at 10am. I was already tearing a little at the thought of leaving Makkah but when the first athan for Fajr started, I broke down. I just couldnt hold back my tears anymore when reality suddenly hit me that I won’t be there until Allah wills it that I come back =,( Al-hamdulillah, at least I was given the opportunity to visit both places that I’ve come to love. Our Jordanian tour guide greeted us at the airport and brought us to a gift shop where we bought souvenirs and later placed our big luggages there since we were travelling light to Palestine. 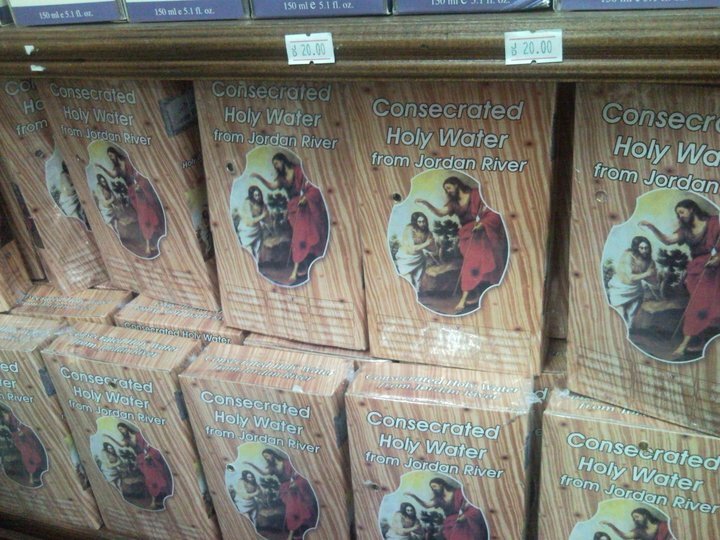 Pic: Found this intriguing.. Christians believe that Jesus A.S was baptised in Jordanian river thus this water is sold for baptism. 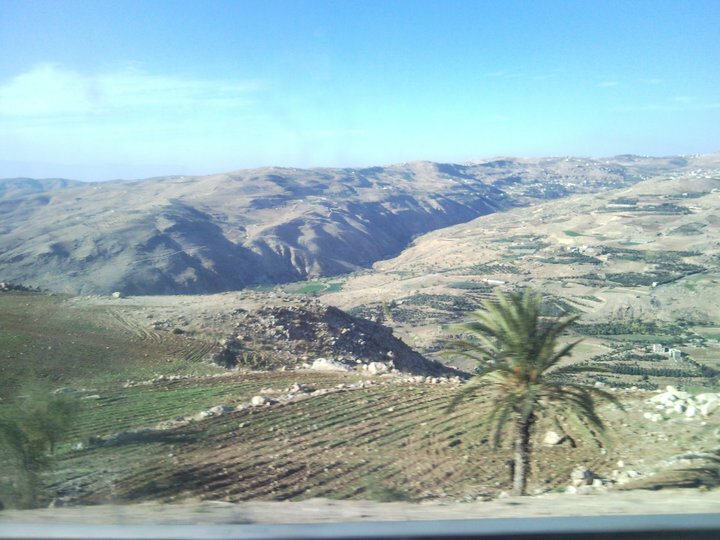 More pics of Jordan Valley. Down the Jordan Valley headed straight for Israeli customs. Al-hamdulillah, I’m back after 12 days of travelling 🙂 I had a FANTASTIC time but a rather exhausting one as well. Imagine covering so many places all at once! 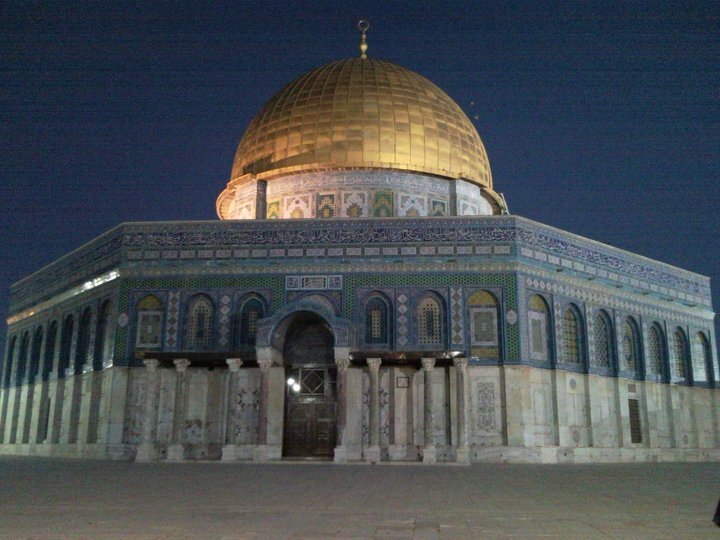 In case you didn’t read my previous post about this trip; I went on a tour to Makkah – Madina – Palestine – Jordan. 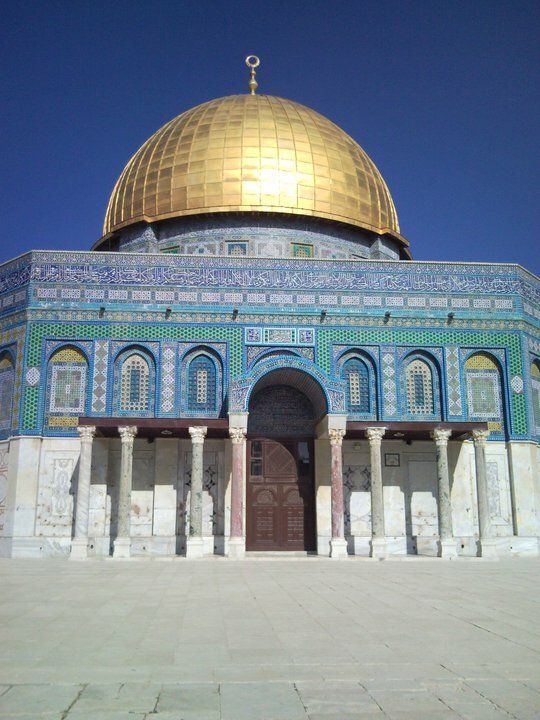 We did our Umrah first, took a flight to Jordan then entered Palestine through Allenby Bridge (Or King Hussein- I think the name is just to please Jordanians really when actually the Israelis control the border!). 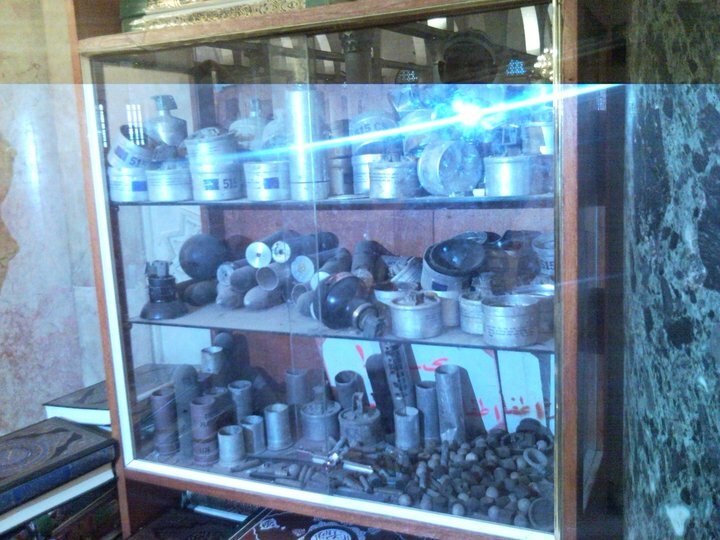 I really have loads to share with everyone especially my experience in Palestine. You can say that it was an eye opener for me and everyone who went. The news we watch on television about Palestinians being ‘terrorists’ for throwing rocks at the soldiers must be balling *mad* if anyone actually believed it. If everyone has the opportunity to BE THERE and SEE WITH THEIR VERY OWN EYES they’ll know that the Palestinians have literally nothing since they live in poverty whilst the Yahudis have all the luxury. They use rocks as their weapon which I daresay, is very useless compared to the high tech gadgets given by country-not-to-be-mentioned. A fantastic article I found with regards to Muslimahs who wear hijaab but still does the munkar. The title itself in English – Don’t lie to Allaah with hijaab. It’s a longggg article but if you understand Malay then take a look at it. If not, then I’ll summarise some important points from the article when I return insha Allaah.